Hawaii's #1 water extraction, carpet restoration, & carpet cleaning services. Do you remember what your carpet floors looked like when they had first gotten installed? Chances are if you are like many homeowners, they now appear nothing like they once did. Over time, dirt, dust, debris, and stains all wear away at your carpet’s appearance, leaving behind the matted fabric and lingering odors. The only way to renew them to their previous condition is with Rescue One Restoration. We extract more stains from carpet flooring than anyone else around. Whether you have pets at home, children, or can’t get rid of musty smells, we are the best choice for your house every day. Go beyond what you vacuum and bottled cleaning products can do and enjoy what professional steam cleaning can achieve. We guarantee a fresher home each time that you call us. Carpet steam extraction does more than keep your rugs looking like new. In the process, we are also extracting odors, stains, and lingering air contaminants. By the time we’ve finished restoring your home, it will look, feel, and smell cleaner than ever before. We achieve the same level of freshness that you would get by completely replacing your flooring at a portion of the cost and time. Even if you regularly clean your home or vacuum floors, you aren’t removing all of the allergens and pollutants that you think that you are getting. The only way to create the cleanest, safest environment is through professional steam cleaning services. When you choose us, we can renew your carpets, as well as extend their useful service life. Call us today and let us fully refresh your home with the best in local steam extraction cleaning. Whether you have one specific room that remains stained and smelly, or you need complete home Spring Cleaning, we can handle it all. From water damaged flooring to smelly upholstery surfaces, we can eliminate more odors and spots than anyone else. Dropped lipstick, spilled ketchup, rusty metal and red wine are no match for our experienced technicians. For over 32 years, we’ve provided the best in steam extraction services for more homeowners. Our team remains fully certified, and they are armed with a truck-mounted cleaning system that is fast, convenient, and won’t damage your belongings. The heated steam kills odor forming bacteria, and loosens more stains from carpet fibers than any other cleaning method. No matter where you have stains and smells that just won’t leave you alone, our team can eliminate them all fast. Call us today and schedule us for your home and experience the best in steam stain removal. We coat your carpets and rugs in a pretreatment solution that won’t discolor, fade, or bleach your fabric surfaces. Once it sets in, the answer is agitated into the carpets, breaking down stains before they get extracted. The industrial vacuum remains mounted to the truck, allowing us the freedom to reach even the hardest areas inside of your home. 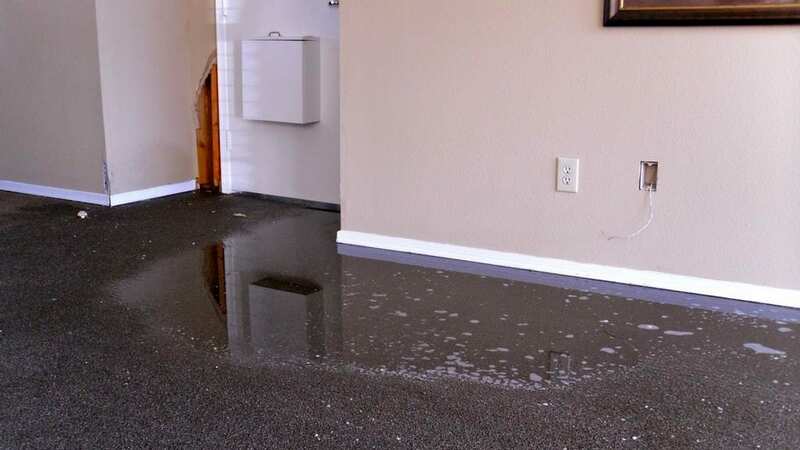 As the heated water vapor penetrates the carpet, it reaches down into the padding where bacteria loves to hide. The steam also finishes breaking down dried stains and ground-in debris, allowing us to remove more carpet contaminants than any other method. Your surfaces remain sanitized, deorodized, and ready for you once more. Once we’ve finished with your carpets, the only thing left to do is allow them to dry. If you think that restoring your floors is going to take a ton of effort, just call us for the simple and affordable solution. You could spend thousands on replacement flooring, and it could take weeks to finalize its installations. Instead, we can help you maintain your rugs, allowing them to appear like new in a matter of hours. Since 1986, we’ve helped more homeowners keep their carpet flooring looking their best the simple way. When you need the best in carpet stain extraction and steam cleaning solutions, you can always rely on Rescue One Restoration.